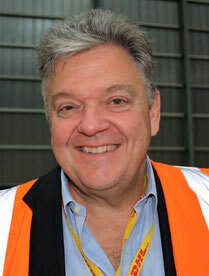 On January 1, long-time DHL executive John Pearson became new CEO of DHL Express, succeeding Ken Allen in this function. Right after his promo by DHL parent Deutsche Post AG he delivered an optimistic outlook on the integrator’s 2019 business perspective. This against the background of increasing efforts by e-commerce giants Amazon and Alibaba, two major DHL accounts, to control the supply chain themselves from A to Z. This announcement deserves special attention: “We are modernizing our regional and intercontinental air fleet, we will continue to invest in our international infrastructure and innovative technologies,” said Pearson in his first statement after assuming the top job at DHL Express. Big efforts “to further align our delivery processes with the needs of our customers in order to maintain our excellent level of customer experience and satisfaction,” he explains. It is regrettable, however, that the manager did not further elaborate on the freighter issue, leaving ample room for speculation on upcoming fleet decisions including intended infrastructure projects. The management changes, Ken Allen became CEO of the newly established DHL eCommerce Solutions division, are seen by market observers as reaction by Deutsche Post to their massive drop in profits experienced lately. 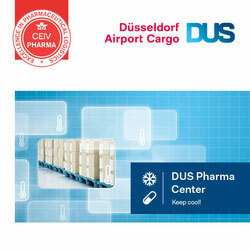 In Q3, DP earned €146 million, a drop of nearly 75 percent year-on-year. Operating profit declined by 55 percent to €376 million. Despite these rather meager figures, John Pearson delivers an optimistic outlook for DHL Express in 2019. The integrator’s business will be driven by the ongoing growth of the global express market, the booming cross-border transports of e-commerce shipments, increasing digitalization and last but not least as result of DHL’s excellent positioning in all industry verticals, reads a company statement. While Pearson said this, Amazon scouts started evaluating European airports for setting up an own freighter network. 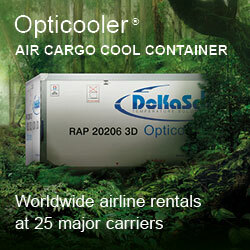 Their advance was confirmed to CargoForwarder Global by various airport representatives. 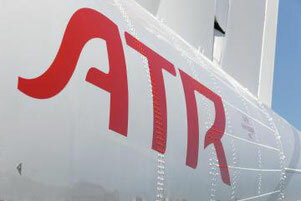 According to their assertions the U.S. e-Trader intends to establish routes from Warsaw, Poland to cities in central and western European countries by utilizing small ATR freighters to commence with. Once services are established and the network is stabilized, they intend to up the capacity by operating Boeing 737 freighters, followed by B757Fs and ultimately Boeing 767Fs, as done since mid-2016 by their U.S. subsidiary Prime Air on intra-North American routes. Market experts hold that both Amazon and its Chinese rival Alibaba are pushing vertical integration ahead at great speed. Their aim is to control the entire supply chain, cooperating with other integrators on the long run only in case there are no alternatives for the timely transport of the e-Trader’s goods. Indeed, alarming news for DHL’s John Pearson and his peers at FedEx and UPS.